The once-upon-a-time medieval, cave-like little church of Agia Marina is integrated into the reconstruction plan of a new and far larger church bearing the same name, based on drawings by Achilleas Georgiadis. Biris 1966, 394; Lalonde 2005, 92–93. 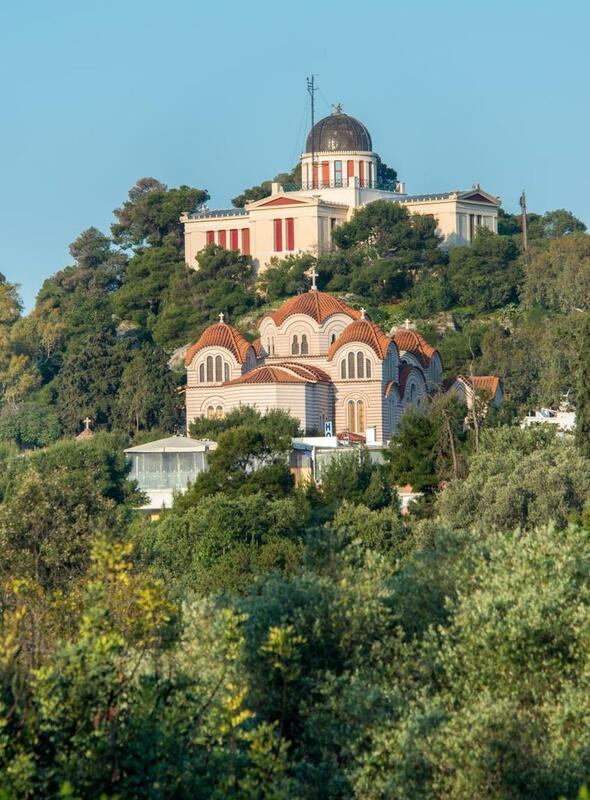 Amidst the dense vegetation of the Hill of the Nymphs stands out the contemporary church of Agia Marina; the Observatory of Athens can be seen behind it.